JobsForEveryone team has come up with Sponsored Post and Guest Post Guidelines which can help advertisers and publishers share quality content to JobsForEveryone. Please go through guidelines which are taken into consideration before publishing in JobsForEveryone. 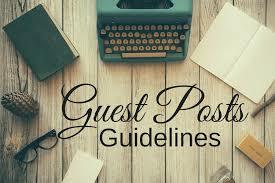 Below is the basic list of Sponsored Guest Posting Guidelines which you can have a glimpse before contacting us. JobsForEveryone is mainly designed for sharing content that is useful for job seekers worldwide. We accept posts that are related to Career, Resume Building, Job Search Websites, Consultancies Overseas and in India. JobsForEveryone has zero tolerance for any duplicate content that is copied and pasted from other websites. If you are looking to post content in JobsForEveryone, it should be unique, pass Copyscape. Once content is published, JobsForEveryone will have the complete rights of the content. If any complaints that are received for any copied or false content, JobsForEveryone has the right to delete or remove the content and the author who has shared the content will have complete responsibility. Content once published in JobsForEveryone shouldn’t be shared in any other websites or blogs. We love advertisers related to career, education, consultancies to promotes their content on our website. If you want to advertise via Guest Posts with a link, we have only one or two posts post which we allow and that too after you fulfill all the above requirements. Do clearly state your requirements when contacting us through JobsForEveryone Contact Page. If any Sponsored Posts are published, readers will know that the post is a Sponsored Post via Note. your content credibility and also gives visibility to JobsForEveryone. Interested in getting your online career building or job search website into the eyes of 10k Followers of JobsForEveryone. Get your sponsored post in JobsForEveryone. We have a wide range of advertising options based on your requirements. JobsForEveryone team has the right to reject your content after submission if the quality of the article is not up to mark. Minimum 500 words and few images with proper attribution need to be shared with our team.